Good morning, and a Happy Veterans Day to all our veterans. If you are reading this in English today, thank a veteran. Here is your Sunday Patriots news 11-11, & AFC East Notes. Orange shorts? Apparently, Patriots players are pretty fond of their gray workout shorts. According to Mike Reiss, the players (as well as former players) were taking them all home, instead of leaving them at the facility. So, the team issued the players those ugly orange ones in an attempt to stop the stealing. The hot take artists on sports radio that always cry that “the Patriots are cheap” will have a field day with this one! Did you Know? Since Tennessee beat New England in 2002, the Patriots have won all five regular-season matchups and two playoff games against the Titans. In those seven games, Tom Brady has thrown 16 TDs and one INT. Did you Know Pt.2? With a win today, the Patriots will be .500 or better for the 18th straight year, moving past the Browns for second place all time. The Dallas Cowboys had 21 straight years of playing over .500 football from 1965-1985. Road Warriors- since Robert Kraft purchased the team in 1994, the Patriots have the league’s best road record, by far at 123-73 with a winning pct of .629. The next best is the record belongs to Pittsburgh at 111-84-1. “The Closer” Duron Harmon is tied with Harrison Smith of the Vikings with 10 interceptions in the fourth quarter of games since the 2013 NFL season. Richard Sherman is tops in the league with 11. Dink and Dunk? : With his 55-yard touchdown pass to Josh Gordon on Sunday night against the Packers, that gave Tom Brady 42 touchdown passes of 50 yards or more since 2001. Only Drew Brees has more with 43. Other notable names include Eli Manning with 39, Aaron Rodgers with 36, and Peyton Manning and Tony Romo both with 35 TDs of 50 or more yards. Heating Up in the Colder Weather: Since 2001, the Patriots are 101-29 with a winning percentage of .784 on or after Thanksgiving. That is the best in the NFL. Under Bill Belichick, Patriots teams always seem to get better as the season rolls along. When the Patriots signed Obi Melifonwu, they didn’t just have the stretch run of 2018 in mind. The big (6’4, 225) uber-athletic safety wowed the crowd at the 2017 NFL Combine but a series of injuries and misuse in Oakland ended his tenure there after only a little more than a year. The Patriots scouted him in college and visited with him prior to the draft. How will the team use him? Bill Belichick said that it is still up in the air. They’ll no doubt try him in practice in a bunch of roles….deep safety, in the box safety, big nickel linebacker and see where his strengths lie. With his size, speed, and athleticism he may be perfect for helping out with opposing tight ends. But he signed a two-year deal. It is just like Belichick and the Patriots to lock down an intriguing player with next year in mind. With both Pat Chung and Devin McCourty getting older, they may be giving Melifonwu the opportunity to carve out a future role for himself with the team. With just a couple of days of practice, I wouldn’t expect him to be active today. 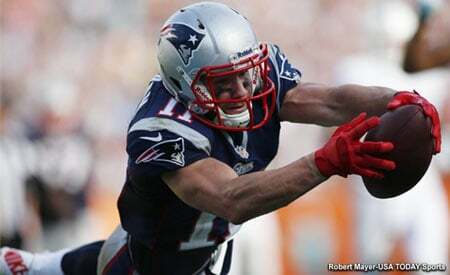 But it will be interesting to see a hometown boy suit up for the Patriots. The key for Melifonwu is obviously staying healthy and on the field. Hopefully, his injury bug has been left behind in Oakland. He’ll have to learn the defense and find a role for himself. We should see him play some against the Jets after the bye week. If there was anything that I think we’ve all heard enough of in the last nine months was the decision by Bill Belichick to bench Malcolm Butler in the Super Bowl. It has been played out ad nauseam since February but with the Patriots-Titans meeting this afternoon, it has taken on a new life. The bottom line, Belichick did what he thought was in the best interest for the team to win. Even Butler has admitted his performance and focus was off prior to the Super Bowl. Belichick made a similar move in the 2014 Super Bowl, benching Logan Ryan and putting in an undrafted rookie (Butler) who barely played during the regular season. The situation last year got to Butler, who felt the Patriots should have paid him and not Stephon Gilmore the big contract. It affected his play all season as he tried to do too much, trying to play his way into a big money deal. This nightmarish season has been the opposite. Butler got paid but is now trying to justify his deal on every snap, again overplaying things and getting caught by double moves, forgetting how he got here in the first place. Mike Vrable and the Titans’ coaching staff just need to get Butler back to his fundamentals, which are much better than what he’s been showing this season. He’ll get it figured out. But enough with the Super Bowl already. The Buffalo Bills seem to be making a statement about the future of QB Nathan Peterman by giving the start on Sunday against the Jets to Matt Barkley. Barkley was signed by Buffalo on October 31. Rookie QB Josh Allen is still out with an elbow injury and Derek Anderson is still out with a concussion. Peterman has been a turnover machine in his brief time with the Bills. He’s thrown 12 interceptions in just 130 passes attempted for an interception percentage of 9.2 against just 3 touchdowns. Barkley becomes the fourth Bills starting QB in just the past five games. Bills coach Sean McDermott said on Monday that if neither Allen or Anderson could go, that Peterman would get the nod. Now, he’s changed his mind. So either he had a bad week of practice or decided that his team, already offensively challenged, can ill-afford any more turnovers. Barkley has hardly lit the world on fire either. In six career starts, he’s thrown 8 TDs and 14 INTs. The Miami Dolphins know that they’ll need a big effort from the entire team to beat a Green Bay Packers team desperate for a win after losing two in a row on the road. But protecting Brock Osweiler the Miami offensive line may have only one starter who was on the field in Week 1. Tackles Laremy Tunsil and Ju’Wuan James are both dealing with knee injuries this week. Both will be game-time decisions on whether or not they’ll play. Ted Larsen, who replaced starting left guard Josh Sitton (IR), is dealing with a neck injury and is listed as doubtful for today’s game. Starting center Daniel Kilgore is on IR. That leaves only right guard Jesse Davis as the lone Week 1 starter that may play this week. They won’t know until 90 minutes before kickoff where they are at health-wise, but it obviously isn’t the way you want to be preparing for the Packers on the road. Which will put even more pressure on a Dolphins defense that needs to really step up their play this week. The New York Jets take on the Buffalo Bills today and veteran Josh McCown will get his first start of the season at quarterback for Gang Green. Rookie Sam Darnold has a sprained foot and probably won’t even be active this week. The Jets activated QB Davis Webb from the practice squad as the emergency backup. It has been feast or famine for the Jets who are entering the game at 3-6. In their three wins, including opening night, they’ve scored 34 points or more. In their six losses, they’ve scored less than 17 points including just 33 in the last three weeks combined. The Jets offense is dealing with a dearth of playmakers, an inconsistent rookie quarterback (which is expected) and a shaky offensive line. With the running game stuck in neutral, the passing game is having to carry the show and thus far they are 0-5 if Darnold attempts more than 30 passes in a game. This will be a good game for McCown to come in and see what he can do with the offense. 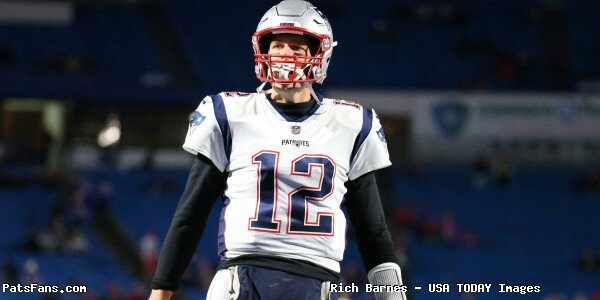 This entry was posted in 2018 Patriots Regular Season, NFL Commentary, NFL News, Patriots Commentary, Patriots News, Patriots Podcast and tagged 2018 Patriots season, Bill Belichick, Buffalo Bills, Chris Hogan, Dion Lewis, Dont'a Hightower, Miami Dolphins, New England Patriots, New York Jets, NFL, Patriots, Rob Gronkowski, Stephon Gilmore, Tom Brady, Trey Flowers on November 11, 2018 by Steve Balestrieri.